WS3 is a novel small molecule that promotes β cell proliferation with EC50 of 28 nM(induced R7T1 proliferation). Wedelolactone is an inhibitor of IKK. BAY 11-7082 is a NF-κB inhibitor which decreases NF-κB by inhibiting TNF-α-induced phosphorylation of IκB-α. BAY 11-7082 inhibits ubiquitin-specific protease USP7 and USP21 with IC50s of 0.19 μM and 0.96 μM, respectively. 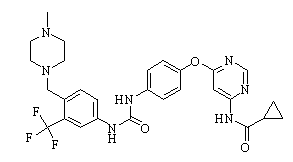 MDK10496, also known as IKKε-IN-1, is a potent IKK inhibitor. AZD3264 is a novel Inhibitor of IkB-kinase IKK2. PS-1145 is an IκB kinase (IKK) inhibitor with an IC50 of 88 nM. SC514 is a selective IKK-2 inhibitor (IC50=11.2±4.7 μM), which does not inhibit other IKK isoforms or other serine-threonine and tyrosine kinases. IKK 16 is a selective IκB kinase (IKK) inhibitor.